I've been looking for new frames for my prescription lenses (or "opticals" as the Americans say) for the longest while. Something interesting and different, but not so much as to make me look too crazy. Oliver Peoples usually has some good designs which are also good quality, but when I had a look at the portfolio online, nothing caught my fancy. I also spent much of my recent trip to the US scouring every eyeglass store I happened by, with no luck. I came across Warby Parker, a brand I'd never heard of before this week, and I must say, the glasses have impressed me. They've got a good price-point and interesting styles (they even sell monocles; how cool is that? ) 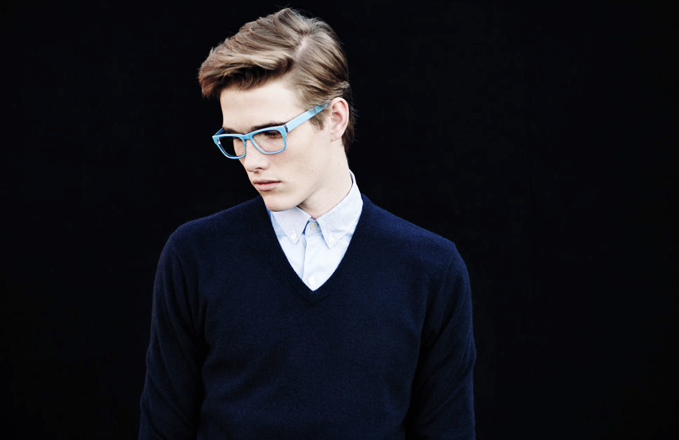 and I am sorely tempted to try some coloured frames this time. I can't speak for the quality as I've only seen them online, but I might be willing to give them a try. They donate a pair of glasses for ever pair they sell, so that can't be a bad thing. You can check out their current range here. GlassesShop.com and Warbyparker are my favorite online websites. They offer everything you want. Everything from: glasses, prescription sunglasses, multi-focal glasses, cheap eyeglasses, and much more.